What a relief to find this place. Ive been to veterinarian clinics in St Maries and Potlatch and are sorely dissapointed with them. I have a sensitive dog with quite a few digestive and joint issues, so I need more than the rushed, yearly exam and vaccination checkup for my little "Poopers". I met Dr. King and had a good feeling about him. The whole staff seemed genuinely concerned about my dog and was kind and gentle with her. They gave me several options for treatment (which, I warn you, arent cheap, but you get what you pay for.) The biggest shocker which gets 5 stars from me, is they called me the next day to see how Poops was faring. I was glad because I had questions which they answered and helped immensely. Poopers is on the mend with the meds they gave her and I am relieved! Another customer in the waiting area told me how much better Lakewood was than any other clinic in the Cd'A area. That was comforting to hear as a new patient. As far as the facility, they have two separate areas to wait so if you have a cat or dog that doesn't get along wih others, you will have some space. Also, you can pay the medical technician right in the room so you dont have to check out at the front desk. You are in and out very easily. Overall, a pleasant and comforting experience which was well worth the cost. I am glad to have found a new vet that I can trust! So I'll start by saying that if you're looking for a vet office that is as cheap as possible, keep looking, but if you can afford a little more for pet care, this is the place. The staff are among the friendliest I've encountered at any type of business, and the facilities are clean and comfortable. They're great at getting my cat and my dog to stay calm and comfortable during all of the treatments they've received. They keep you well informed about your pets health history and current health status. They always send you home with detailed information on the services that were provided and any upcoming services, and they never try to get you to do things that aren't necessary. They go above and beyond for their patients and their owners/parents. The pets are often sent home with free treats and hygiene items. They take seasonal pictures of the pet if you want and will give you a framed copy. When my mom was left with our puppy while I picked my son up from school, they brought her a basket with snacks and drinks for her to enjoy while she waited. I really can't say enough about the service here. They do a great job and give you all the reason you need to come back. Well worth the slightly higher price. These guys are amazing. I'm definitely a customer for life! Thank you for the great service. These guys are fantastic. You couldn't find a vet who cared more about animals. They sent me a candle when my kitten died and they take photos of your pets for you and frame them. It's very sweet. Dr. King and his staff are ten plus. My dog Angel had surgery December 21 to have some sores removed and some stitches pulled loose on her left thigh . I texted him and asked if I should go to pet ER and he called me and said to meet him at his office at 9 p.m. He put staples in and fixed the problem. He also gave me an inflatable collar for her to wear. I am so pleased with the service I receive for my fur babies and Dr. King goes above and beyond. He is amazing as is his staff. Lakewood Animal Hospital has taken care of all three of our cats through various minor and serious issues. They have always provided the highest quality of service and care. Frankly, I kinda wish there was a Lakewood Human Hospital, too. This weekend I was visiting CDA and on Saturday I noticed my Shih Tzu’s (Maisy) front leg was shaking. Fortunately, I learned that Lakewood Animal Hospital was open and we were able to be seen by Dr. King right away. Upon arriving we were greeted by an extremely helpful and friendly front desk staff and saw the doctor within minutes. The clinic was spotless and more hygienic than my own doctor’s office! Dr. King was wonderful with Maisy and he is clearly very experienced. After a thorough exam by Dr. King, it was determined that Maisy needed x-rays. Dr. King’s team quickly took Maisy back to be x-rayed and she was finished shortly after. Dr. King reviewed the x-ray images with me using state of the art digital technology. He explained the images in a knowledgeable yet clear and comprehendible manner. He also had them sent to a radiologist for a second opinion. I was relieved to find out it was only a minor disc issue. Dr. King prescribed medication and ordered rest. Dr. King was incredibly thorough and was so sweet to Maisy. I have taken Maisy to numerous veterinarians in the past in an effort to find the best possible care for my dog. Dr. King is absolutely the best veterinarian we have ever been to and I am confident Maisy is in excellent hands with Dr. King. As an added bonus to an already pleasant experience, when I checked out, the staff handed me a framed photo of Maisy! She seems to already be feeling better thanks to Dr. King and his wonderful staff. Despite my distance from Dr. King's practice, I have continued to seek treatment with him for my dog, Maisy, as I have been unable to find such a kind and knowledgeable vet in Seattle. Maisy is often anxious around people she does not know and she always seems at ease with Dr. King and his staff. If I had to pick a few words to describe Dr. King gentle and caring would certainly be at the top of my list! It is his kind nature towards animals coupled with his vast knowledge that has me driving to Idaho for my dog's care. Dr. King often informs me of recent studies and research guiding his practice, which I love! He is consistently gentle and loving with my dog, which Maisy loves! Dr. King is incredibly sweet to my cat and she’s not always so nice. He has a way of talking to her in a gentle high pitched voice that puts her at ease. I’ve found that all his staff handles difficult pets like mine in the same nurturing way as Dr. King. I found Lakewood shortly after moving to CDA about two years ago. Dr. King's vast knowledge and kind heart make this the perfect vet clinic for any pet lover. Further, the facility is the cleanest and most efficiently run animal hospital I have ever been to. I never have to wait to see the doctor. When I arrive for my appointments, I am immediately taken into an exam room. This puts my cat at ease so she doesn't have to sit in the lobby near dogs who are coming and going. I highly recommend this animal hospital. I've only been to Dr. King once when I made the extremely difficult decision to put my fur baby down. He was extremely compassionate and educational on the process and what my dog would feel/experience. While it was a very hard experience, Dr. King and his staff made me feel better about the process and made it as easy as possible. Best vet I've been to hands down. Dr. King is the best, as everyone else has already said. Initially, the price shocked me, but they explained to me why it costs more at Lakewood, and it’s money well spent. If you can’t afford good care for your animals, he will refer you somewhere else. Ive gone to several clinics in CDA and can confidently say none of them stack up to Dr. King. He works 6 days a week, sometimes until 9 or 10 at night. He never forgets to call and check on an animal after an appointment. The staff is awesome, knowledgeable, friendly and caring as well! There is no way we would EVER go to another vet! Dr King is the reason my precious pup is alive. Love the entire staff! I have taken my dog to Dr. King for 4 years now. Some of the reviews mention that he is over priced but i disagree. For the high level of care you get it is worth the money. My dog needed a tooth removed and I couldnt afford the surgery so he referred me out to have it done and even sent over resent bloodwork so that i wouldn't be charged again. going elsewhere saved me $150 which was nice but the staff and care was nothing like Dr. King and his staff. Next time i will stick with Dr. King. Also, when he dx my dog with a seizure disorder he laid out all the different treatments types and prices and helped me figure out what the best option was. Not to mention that he called me on a Saturday night to let me know result of bloodwork from the day before. For that kind of care i will gladly spend a few extra bucks for my baby. Lakewood Animal Hospital is the only care facility I will take my 3 dogs and 1 cat. Dr. King and his staff are soo caring and professional my animals are never nervous or uncomfortable. My smallest dog, Toma, is about 16 years old and has developed swelling around his spinal cord just above his back legs. This makes it difficult for him to walk so rather than suggest surgery Dr. King suggested we just put him on steroids. This treatment is working very well and Toma is his old active self again. I would recommend Lakewood Animal Hospital and Dr. king to everyone needing care for their fur babies without any reservations. I have 3 dogs and 1 cat and wouldn't take them anywhere except Lakewood Animal Hospital for care and treatment. I live in Spokane Valley and used to frequent a local veterinarian but was so dissatisfied I would rather drive from Spokane to CDA to receive superior care for my fur babies. Again I must sing the praises of Dr. King and his amazing staff! Over the weekend one of my dogs started feeling really bad. I called Monday to see when he could be seen and they moved things around so he could be come see them on Wednesday. To make a long story short, he was seen, treated, and will stay with one of the staff overnight and then more treatments tomorrow. I will get him back tomorrow night and am so grateful to Dr. King and his wonderful staff for going the extra mile for my fur baby. Well I had to take my Little Red dog back to see Dr King again today. He has had a relapse of pancreatitis so needs to go back on meds. I called just yesterday to see how soon I could take him in and again the staff worked things around in order to see him today. I can't say enough good things about Dr King and his wonderful, caring, compassionate staff. They not only care about the fur babies but about the fur less parents providing treats and drinks for both. I will never take my furry children anywhere else. Cudos to Dr King and his wonderful staff! I hope people aren't getting tired of my praises for Dr King and his staff. I had to leave my 10 year old minpin at the hospital to have a lot of teeth removed and they are keeping him to make sure he's ok. Dr King just called to keep me informed about his progress. I can't even tell you how very much I appreciate these people and their professionalism ! Again Dr. King has eased my mind about my Red Dog. My little guy jumped off my bed and injured his right front leg. I thought it might be broken, but after X-rays it is an infection in his foot and old age arthritis. So now he'll be on medication for the arthritis and he received an antibiotic shot for the infection in his foot. Dr. Kings facility is always open for emergencies like mine and I SO appreciate all they do for my dogs. I wouldn't take my animals anywhere else. Five Stars for sure. Well the only thing I can say is Dr. King is my hero. Last week I again took my little Red dog in to see Dr King because Red has terrible teeth problems. We decided to have some dental surgery this coming week after he was on antibiotics for a week. But Dr. King just called me, on a Sunday night and explained he had just gone over the lab results and determined that it would not be advisable to do any surgery under anesthetic until little Red had been on antibiotics for a month and completely clear of infection or it would be dangerous to his health. I have NEVER known a DMV that would go to these lengths for their patients. I can't say enough about Dr. King and his awesome staff. They are all, without a doubt the most caring compassionate people I've ever had the privilege of doing business with. Totally five star business! Lakewood animal hospital has ONLY provided us with outstanding service . I have 2 large breed dogs and every time I have an issue , big or small , they have taken care of us ASAP. The staff is extremely caring and professional and dr king goes above and beyond to explain things to me and answer all my questions . This is the ONLY place I trust with my babies ! Dr. King is truly invested in his patients and their owners. He takes the time to educate owners and alleviate concerns. His staff is professional and friendly. I think my cat likes them better than me! Wonderful vet! They go the extra mile!!! They treat my dog so great, it's nice to be confident in his care! Dr. King and staff are hands down the most dedicated Veterinary Staff out there. Amazing time and attention dedicated each visit and always an exemplary experience! I have been meaning to get on here and write a review for Lakewood Animal Hospital for quite some time. I have been taking my pets here for years and I will continue to do so until...well...forever! Dr. Bruce is amazing, he exudes love for animals and you can tell that he absolutely LOVES what he does for a living! Not only that, but he truly cares for the families of his furry patients. I took my dog in yesterday for a quick nail trim, and Dr. Bruce happened to walk by as I was in the waiting area and, without missing a beat, he wished me a happy birthday...this astounds me considering my birthday was last week, and I have not been in to the vet for many months, and yet he just happened to remember when my birthday was. :) Aside from the personal touch and amazing vet skills that Dr. Bruce has, the entirety of the staff is top notch. From the time that you walk through the front doors, you are greeted with a smile and genuine caring for both you and your pet. In particular, there is a Veterinary Assistant there named Angie who not only has a smile that lights up the room, but, if it is possible, her passion for animals may even outshine Dr. Bruce's. All of that to say, if you have a pet who needs any kind of attention, from a simple nail trim, to a complex surgery, Lakewood Animal Hospital is without a doubt where you want to take your furry family members! They are the best animal hospital in town, they have helped me with my cats. Stop looking. You've found the best Vet! I took my Rag Doll cat Dejah (10 months) to Dr King to get spayed. I had my dad drop her off and he had the same reaction to the staff as I did. They gave me options on different medicines and treatments based on pricing which was awesome. When I picked her up the Dr. came in with her paperwork and a little picture they had framed for me to take home. It was an adorable touch. They were very detailed with the information that they gave me, which put me at ease. The night after her surgery, a few hours after we got home, Dr. King called and left me a voicemail around 9 PM checking up on Dejah and said I could call anytime if I had any questions. The office called again the next day around 3 to check up on her. I was in awe with their service and the amount of compassion they showed. About a week after her surgery I noticed a large lump under her incision. I called the office around 9:30 PM and since it was after hours it paged Dr. King. He answered, knew exactly who I was and told me it wasn't anything to worry about but if I wanted to I could bring her by the office the next day. I took her in the next day after work about an hour before they closed and even though there were no available rooms, one of the techs came and grabbed her so that Dr. King could take a look at her between visits. Within 5 minutes she was back and they explained it was most likely her sutures dissolving. They didn't even charge me for their time. If your looking for a good Vet that you can trust with your fur child, then your search is over. Dr. King and his staff will show your pet a respectful amount of compassion and care. Maggie was being treated by Dr. King for pain in the neck and left leg. A MRI revealed some degenerative changes to her (cervical) neck area. The pain continued to increase over the next week or so. Dr. King called WSU Veterinary Hospital October 3, 2016 and we were seen the same day. More testing and another detailed MRI revealed a Ruptured Disk at C-5. The next day a 2 hour surgical procedure was performed. They removed the crushed disc particles and replaced the disc with bone cement. Maggie was kept for observation until October 8th and released with a follow-up in six weeks. When I picked Maggie up she was like the Maggie of old. I will say the whole process was $3900.00 and it was the best $3900.00 I have ever spent. Maggie and I say Thank You Dr. King. Best vet in town. They have treated my animals like one of the family, and you can see the love they have for each individual animal. They also take the time to answer my 10-year-old son's questions with patience and without talking down to him, which I LOVE! Just a great office overall and I feel very confident in leaving the care of my furry child in their hands! Staff is very friendly and welcoming. Love the inside of the facility; beautiful and cozy. Dr. Bruce King is amazing! He is very nice, knowledgeable, and has a lot of patience, answered all of our questions; he took time with us and made us feel at ease. You can tell that he loves animals and truly cares about what he does. This was our first visit and 100% we will continue to go there. Thank you!! Would highly recommend. We live in CDA for 7 months out of the year, and typically use a vet in San Diego. When our brown lab, Moca, injured her knee, we went to Dr. King at Lakewood without really knowing what to expect. A short time later, our yellow lab, Gus, developed a hematoma in his left thigh. Again, we went to see Dr. King. Wow, were we surprised. Dr. King is compassionate, patient, and a great doctor. He is well educated, well read, and takes time to listen to us. His knowledge is amazing, as are his treatment plans. Today, Gus had a tooth pulled and a tumor removed from his hip. We got the same great treatment. I have seen a lot of vets over the years, and Dr. King puts them to shame. I will not go anywhere else. Dr. King is an intuitive and patient Vet, we had a great experience as he actually took the time with our Pug and he loves animals its plain. Great sense of humor too which is valued in a doctor, and valuable too. The assistant (forgot her name) was taking snap shots, only to present us with our boy's framed photo at the end with his care package. Personally, it was hard for me to be here very long as there is (evidently an intended) aroma/perfume in the building, but I will be going back with our cat next visit as they have spot-on prices and personalized care. What a relief! Doc knew exactly what our boy needed and we are so glad we are on our way to a solution. Very clean and hospitable facilities too. Receptionists we saw in person, and when I've called are friendly and not in some mad rush to get the client off the phone. Dr. King and his entire team are awesome. The moment you walk into the door you know your pets are going to be professionally and compassionately cared for - no matter what the issue. The hospital is immaculate, organized, efficient, and progressive. Our older dogs have issues with their hips, knees, and allergies. One of our labs just had to have surgery yesterday. We received excellent instructions on how to care for his sutures and recovery from the anesthesia. Dr. King personally called last night to check on our dogs recovery. This morning we received another follow up call to check on his progress. We are happy to report our sweet lab is back wagging his tail and ready to eat !! Thank you Dr. King and team!!!! Dr. King and his staff are sorely missed since we moved out of the N Idaho area. I still recommend to all my canine/feline friends that reside there. Looking for a vet? This is your guy! Dr. King and his staff are absolutely wonderful. They are very professional, caring and patient. They want what's best for your animal. You can trust them. If you have scaredy cats like mine, then this is the place to take them. :) Thank you Danielle, Justin and Dr. King! Dr. King and his staff are wonderful people and very good at their job. Since the first time that I had met him and his staff 4years ago I knew that they would be my place of health for my critters. I am getting ready to move to Texas, and pray that i may find a facility that is half as good as Lakewood. 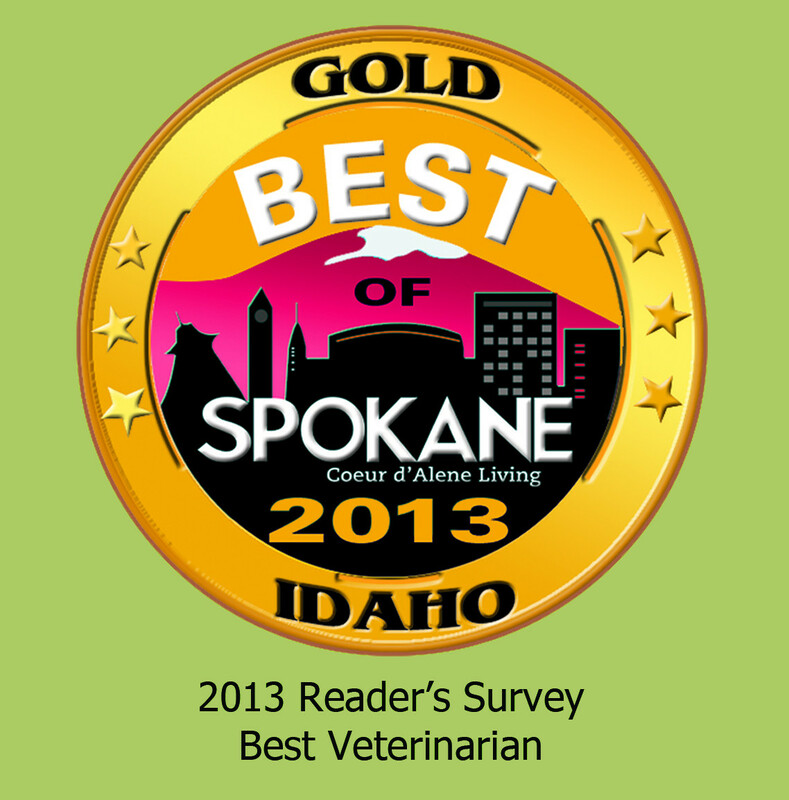 They are honest, compassionate, and well adept to take care of your pets. Dr. King is so kind, caring & compassionate. I recently had to put both of my sweet yorkies down in the last year, and I was a hot mess! Dr. King is definitely the only person that could bring me any comfort while making this awful decision. I would never go to another vet, you want the best.....he is it! Dr. King and his staff are the best. They treat each animal like it is their own cat or dog. I always feel confident that my dog will get the best care possible. Wonderful vet. Dr. King and his staff really cares about people and their pets. I'd never take our animals anywhere else. He even called with some test results after hours knowing we were worried about them. We board our dog there when we go on vacation and they treat her like she's their own. If there were more stars, I'd give every one! Dr. King and his staff are amazing. I always feel like my concerns are heard and his is so gentle with my dog! Their hours are great and they work around your schedule. Love this place! If you are in the CDA area I very highly recommend Dr king! He is so compassionate and will always listen and never make you feel rushed! Sarah - that's who I go to and he is THE BEST!!! Dr. King has found the answer to my cat, Rocky's, colon problems. Royal Canin High Friber Digestive Health. We highly recommend Dr. King, all the staff at Lakewood who take such good care of Rocky while we are traveling, and Royal Canin food. I would not take my babies anywhere else but to see Dr. Bruce King and staff. In March of this year a local referred me to Lakewood Animal Hospital because one of my pups was in need of care. I know it is only October but I have been here far too many times. Bellie has managed not only to get a stomach virus, burn all pads on one paw and get a gnarly ear infection; All of these were properly diagnosed and treated by Dr. King or a fill-in... Both dogs got their vaccination here this year as well. Today was 'D' day, time to remove Bellie's lady bits! I brought her in around 9:30, they showed me a print out of the costs, itemized and detailed and off they went... My baby girl going o surgery. The office called after initial bloodwork, when they took her into surgery and when she came out; I really appreciate the updates, I am a worry wart when it come to my kids. I picked her up at 4:30 and was given great aftercare homework. 1.) The staff will photograph your pet and add it to their paperwork. Also, they give you that photo, in a frame!!! I will post pictures of the pictures soon enough. The massive computer screen is mounted on the wall and the screensaver is a constant rotation of different a pets, their name and the year. 2.) The staff is spectacular and the fill-in vets are wonderful but I prefer Dr. King because Bellie prefers him too. 4.) I have rushed Bellie in with no appointment and only a call on the way and they got her in for her burned paw. I respect this practice and am happy to have a great doctor for the kids! Thank you for reading, it is long! I have been taking my animals to Dr. King for almost 10 years. He is always loving and kind. Moreover, he is one of the smartest vets you'll ever run across. Very down to earth, easy to talk to. Actually gets on the floor with my dogs. I've had vets yank my 15 year old retriever up onto a metal exam table with no regard for her comfort. Not Bruce. His staff is great and always caring. I've been there when someone just walked in needing to put a dog down. The staff was caring and didn't care that he had not been in before. Just helped him in a time of need. Anyway, I can't say enough about Bruce and his staff. Dr. King treats me like gold when I go in with my dogs. He is super down to earth and easy to talk to. My kids beg me to go to the vet clinic because there have a toy chest, and they get toys every time we go in. Nice staff. The place is really clean too. I have been going to Dr. King for 3 years now. He is the best vet I have ever had in my forty years of owning dogs. He has the cleanest, best smelling animal hospital - you would never know there were animals in there. He is very smart - graduated number one in his class. He always takes the time you need with the dogs. I would highly recommend him to you. They also board animals & they are well taken care of when boarded. When I first moved to cda, I went to a couple of other vets. I had driven by Lakewood but assumed it was overpriced because of the beautiful facility. When a friend recommended Dr. King, I made an appointment. It was no more expensive than the other clinics I had been to and the service was outstanding. I did not have to wait more than a few minutes to see the vet. Dr. King spent a long time with my dog in the exam room and answered all my questions. He then called me a few evenings later with the results of my dog's labwork. Even though it was eight at night, he was willing to explain it to me and answer more of my questions. I thought he might be paying extra attention to me because I was a new client but my friend informed me that he is always that attentive to every patient and she has been taking her cat to him for years. I had been paying just as much or more to take my dog to a place where I had to wait a long time to see the vet, rarely saw the same vet and never received the care and concern that Lakewood gives. If you are not taking your pet to Lakewood then you aren't getting your money's worth. We took our Chihuahua Suzie to Dr. Bruce King on October 6 for examination of a lump on her belly. The lump had been aspirated in early 2014 and diagnosed as a fatty tumor by a vet in Florida. However, it had continued to grow and no longer felt like a fatty tumor. Dr. King suspected a hernia and recommended surgery. Fortunately, he had a cancellation in his surgery schedule, and was able to schedule Suzie for October 8. She had the surgery and has fully recovered. It's not even a month after the surgery now, and we can barely see the surgical scar. I can't say enough good things about this vet and practice. The facility is spotless, well kept, and odor-free. Dr. King was wonderful both for Suzie's exam and after her surgery. He handled her gently, explained everything fully, and answered all my questions. He was very professional, courteous, and caring, as were all his staff. Suzie had her surgery in the morning, and we were able to bring her home late that afternoon. Dr. King called me at home that night to make sure Suzie was doing OK and to see if we had any questions or concerns. He reinforced that by telling me to call him if there was anything we needed. On the first (exam) visit, they even took Suzie's picture and gave it to me in a frame. Since we are full-time RVers, we have used many vets to care for our dogs. Dr. King is certainly at the top of the list! I would highly recommend him to anyone, and will definitely use him if we are near Coeur d'Alene again. This is the vet I have used since getting my dog. Dr King is just awesome. Everyone is very friendly. I have had appts for all the puppy shot visits and neutering. They send reminders for appts and Dr King personally calls after major procedures regardless of the time or day of the week. Dr. King examined Bella, took her temperature, and examined her mouth. He was very gentle and kind, as was all the staff. She received a long acting antibiotic injection and he asked if I wanted her nails trimmed. Of course I did. The visit was short and he said to come back in for a anti-vomiting injection if she was still vomiting. I made an appointment to have the dogs teeth cleaned without anesthetic. I highly recommend this facility. I thought I would have to pay for x-rays as well. Dr. King didn't feel x-rays were necessary. We were very impressed with Dr. King and his staff. They were friendly, professional, knowledgeable and easy to talk too. 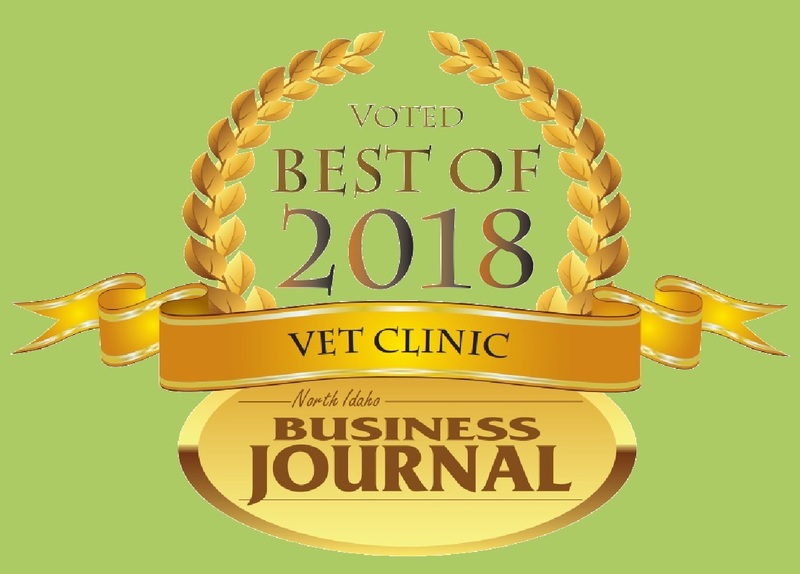 We are new to the area and are very happy to have a vet we trust. Top notch clinic!! Hello, just wanted to give thanks to your awesome staff and Dr. King for taking such good care of our greyhound Daisy yesterday. We've been quite worried about her and it's so comforting to know that we have a vet like Dr. King who is not just incredibly knowledgeable, but most importantly- truly cares. That's HUGE. I've said it before and I'll say it again - he's the best. Thank you! Dr King and his support staff are really wonderful. My husky had an infection that was hard to cure and made her and I miserable. Got on the right meds and she is doing great. Dr King is very caring, takes his time with a diagnoses, does not recommend costly tests. He is competent and usually can figure out quickly what the issue is. Best vet ever !! Thanks !! Dr. King and his staff are wonderful caring people. They always take time to answer any questions or concerns that I have. My girls have been going there for a while and they walk right in the front door. Unlike any other vet I've used before. I have known Dr King since 2000 and will not take my pets anywhere else. He kind gentle and amazing doctor. Thank God I found him again after moving back. Thanks for the great service and smiles. Your are an amazing group of folks and I appreciate everything you do and have done. Dr. King and all of the staff are very friendly, knowledgeable, and clearly love animals and their jobs. They take such great care of our little pup everytime he has to see them. Dr. King and his staff ROCK! My Wilson is in the best hands possible.